Daffodils are the image of spring and are a perfect representation of Easter. This hand made Easter card highlights the daffodil as it's main focal point. This card would be perfect for any recipient this holiday season. 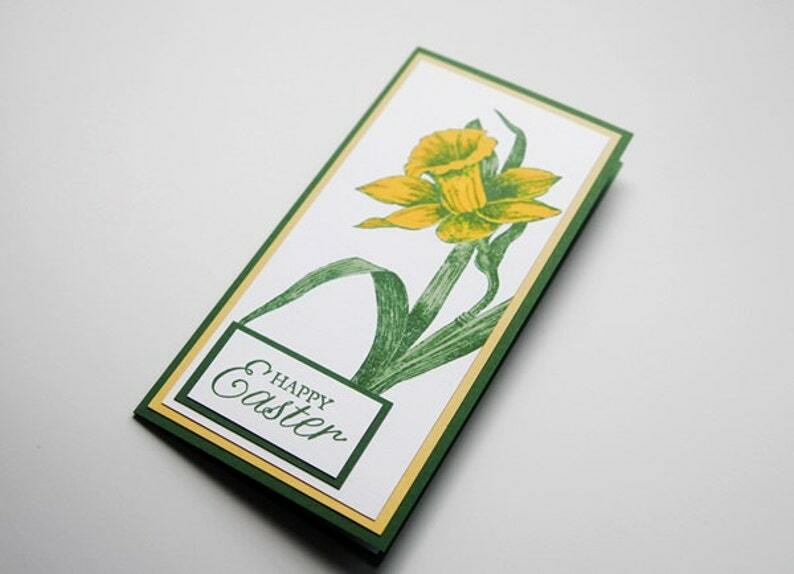 The daffodil image is hand stamped using green ink and then hand colored using artist markers in a variety of shades for visual interest. The sentiment is also hand stamped, using the same green ink as the flower. Layers of matching yellow and green card stock complete the card. 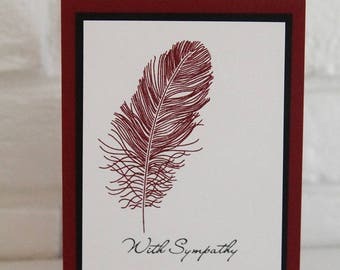 The inside of the card has been left blank for you to add your own words.